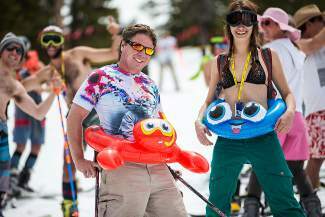 About 585 people donned their finest spring swimwear to take a lap at Arapahoe Basin Ski Area on Saturday, May 21, for Coloradoâs Largest Swimwear Parade on Skis & Snowboards. 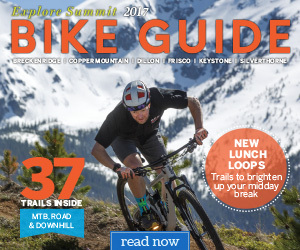 On Saturday, May 21, Arapahoe Basin Ski Area hosted Colorado’s Largest Swimwear Parade on Skis & Snowboards. About 585 people donned their finest spring swimwear to take a lap down the Sundance run; everything from board shorts to bikinis to hula skirts to wetsuits to many Hawaiian shirts. A-Basin set a Colorado and North American record for people skiing or snowboarding in their swimwear.